"Our political opponents win when Liberals are divided," he said. "We can't afford to make that mistake. Canadians are counting on us." Trudeau said it's wrong for any politician to secretly record a conversation, but called it "unconscionable" that an attorney general would tape a conversation with the country's top civil servant — a reference to Wilson-Raybould's release last week of a recording of a phone conversation she had with Clerk of the Privy Council Michael Wernick in December. 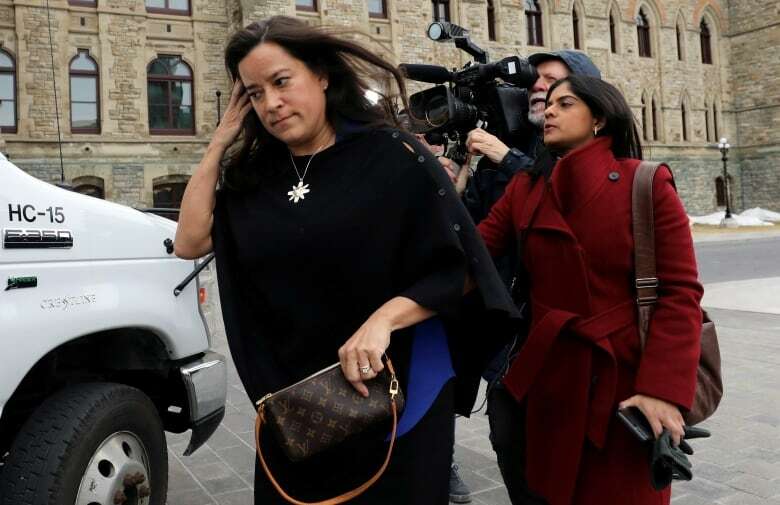 This political drama has been unfolding since Feb. 7, when the Globe and Mail reported that Wilson-Raybould had faced inappropriate political pressure on the SNC-Lavalin criminal prosecution decision. Trudeau said Tuesday he approached the issue with "patience and understanding" but eventually concluded the two MPs could not remain in the caucus. Liberal MPs gave Trudeau a standing ovation after his remarks turned into a campaign-style speech, and many expressed "absolute support" for the prime minister and his decision. Several also said they were saddened by the way things unfolded and the fact they had lost two colleagues. "I have just been informed by the prime minister of Canada that I am removed from the Liberal caucus and as the confirmed Vancouver Granville candidate for the Liberal Party of Canada in the 2019 federal election," Wilson-Raybould tweeted. Later, the B.C. MP said she is reflecting on what Trudeau "has done" and will talk to supporters "about what happens next." She thanked those "who believed in a new way of doing politics." "What I can say is that I hold my head high and that I can look myself in the mirror knowing I did what I was required to do and what needed to be done based on principles and values that must always transcend party," Wilson-Raybould said on Twitter. "I have no regrets. I spoke the truth as I will continue to do." Philpott, who was considered one of the most respected and competent members of Trudeau's cabinet, said the development was "profoundly disheartening." "Rather than acknowledge the obvious — that a range of individuals had inappropriately attempted to pressure the former attorney general in relation to a prosecutorial decision — and apologize for what occurred, a decision was made to attempt to deny the obvious — to attack Jody Wilson-Raybould's credibility and attempt to blame her," she wrote in a Facebook post. "That approach now appears to be focused on whether JodyWilson-Raybould should have audiotaped the clerk instead of the circumstances that prompted JodyWilson-Raybould to feel compelled to do so." Conservative Leader Andrew Scheer said the Liberals have chosen to "condemn colleagues who spoke truth to power and to prop up a prime minister who is drowning in scandal." "Canadians will view the removal of Jane Philpott and Jody Wilson-Raybould from the Liberal caucus for exactly what it is: a betrayal of justice," Scheer said in a statement. "Elected officials are supposed to protect individuals who blow the whistle on government misconduct and corruption, not punish them." "Today, PM Trudeau and the Liberal government showed us exactly what they think about integrity. Thank you Jody for being loyal to Canadians. You deserve better," he tweeted. Earlier today, Wilson-Raybould wrote a two-page letter to the national caucus, acknowledging many of them are "angry, hurt and frustrated." "And frankly so am I, and I can only speak for myself," Wilson-Raybould wrote. "I am angry, hurt and frustrated because I feel and believe I was upholding the values that we all committed to. In giving the advice I did, and taking the steps I did, I was trying to help protect the prime minister and the government from a horrible mess." "I am not the one who tried to interfere in sensitive proceedings, I am not the one who made it public, and I am not the one who publicly denied what happened," she says in the statement. She said the Liberals promised to break "old and cynical patterns" of centralizing power in the hands of a few unelected staffers and marginalizing backbench MPs. Earlier Tuesday, Ontario Liberal MPs met to debate whether to kick Wilson-Raybould and Philpott, the former Treasury Board president, out of the caucus. Philpott, who resigned cabinet early last month after saying that she'd lost confidence in the government's handling of the SNC-Lavalin affair, attended the beginning of the meeting, then left, saying she wanted to show respect for her colleagues who were engaged in a sensitive discussion. Several Liberals have publicly condemned Wilson-Raybould for taping her Dec. 19 conversation with Wernick. The clerk did not know he was being recorded. 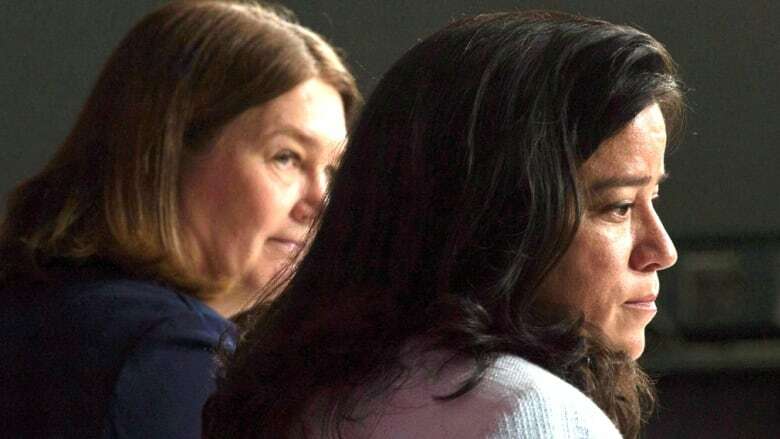 Wilson-Raybould said late Monday that she wanted to remain in the Liberal caucus and saw no reason why she should be expelled. 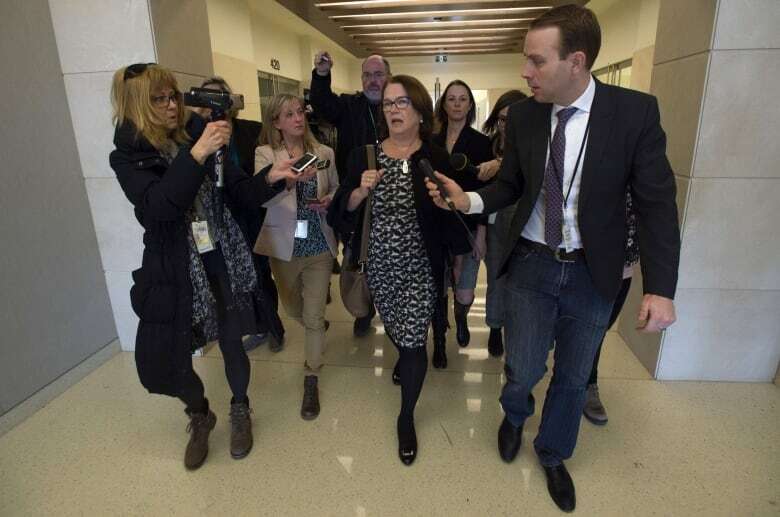 "I do not believe that I should be removed from caucus for doing my job and for doing what I believe is right," she told reporters as she left the House of Commons. Liberals on the Commons justice committee used their majority Tuesday to defeat a Conservative motion that would have called Prime Minister Justin Trudeau and several of his top aides to testify on the SNC-Lavalin matter. Alberta Conservative MP Michael Cooper, who tabled the motion, accused the Liberal members of being "agents of the PM." "Not surprisingly, but disappointingly once again, the Liberals shot down our motion to hear from all of the key players in the SNC-Lavalin matter," he said. "It's clear that if we're getting to the truth, we need to hear from all the key players, yet again it's clear they are in control, doing the bidding of the PMO and so they shut that opportunity down." "We agreed to stop oral meetings, but we've accepted submissions that have come in, in writing, to the committee and we've accepted them and make them public," he said.